It was 4.02 pm on Saturday 16th September the store wasn't busy. Three young girls supposed to be on the shop floor , all were gathered round the till . One was discussing her hangover with a family /friend. Not one of them offered to help us and when my 9 year old approached to ask for help , she was told to look inside the shoe for the size range on the label ! Really not friendly, helpful or in the least bit bothered that we were even in the shop ! Wow I have never had service this bad before! Wendy struggled to say hello to me and my 13 year old daughter (who's birthday it is today) when we entered your Bridgwater store. After shopping around for 5 mins I found the item I was looking for and approached the desk with my selected item to hand. Wendy took the item off of me without saying anything looked up at me and advised how much I needed to pay, I handed over the money to her and she muttered thanks (but struggled with this) she then handed me back my receipt and change but didn't say anything's else. All I would of liked is a thank you! I prompted to ask her if she was having a bad day and she looked at me in a disgusted way and said ''no why?'' I advised her all I expected was a thank you, she then told me to get a life and leave! wow myself and my daughter left promptly from the store horrified in what had just happened. All I would like now is a apology in response to this terrible shopping experience so I would have confidence this would not happen again in your shops! I always purchase my slippers from Shoezone as hey represent very good value. This recent purchase was to buy a second pair as the ones I bought a week ago were so comfortable that I decided to buy a second pair and put them away. I unfortunately have noticed that the type of slipper I usual buy (they have to be quite wide due to arthritic feet) seems to have changed in the quality and the heal part is quite loose and do not stay on my feet. The two pair I have just purchased have an extra cuff around the upper and thus they are a tighter fit and stay on my feet. 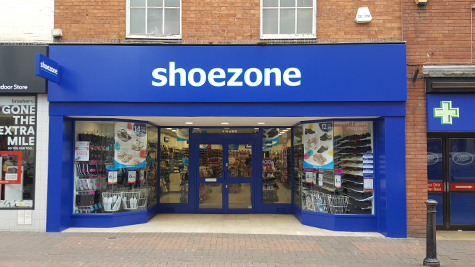 What I would like to see in Shoezone is slippers with rubber bottoms so that they can be worn outside. The rubber bottom ones were always the norm but now mostly all those manufactured are of a material type and scuff out very quickly if worn all day everyday. I know this has nothing to do with the store itself but thought your buyers might like to source a slightly better quality slipper but they also need to be of a wider fit. This also applies to the shoes sold in your stores. I have to go to Clarks or somewhere like that to get a wide fitting/strong material shoe. Standard 'C' fitting shoes are no good for people with problem feet and your store is the only one in my local town. In any event, the staff in your store are always very pleasant and helpful. Thanks.